The innovation is touching its limits in Social Media space. 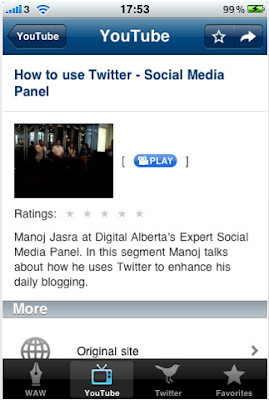 Web Analytics guru and prominent blogger Manoj Jasra launches iPhone app that brings latest posts from his blog Web Analytics World, videos from YouTube Channel and Tweets all in one place on your iPhone. 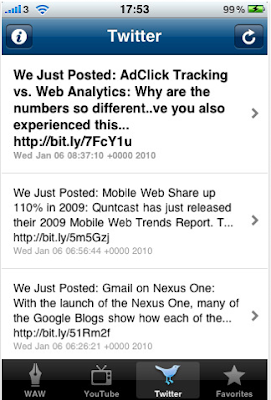 Thanks to the team over at MotherApp, Web Analytics World is now available as an app on the iPhone store, Manoj says in his blog. Great work from Manoj. 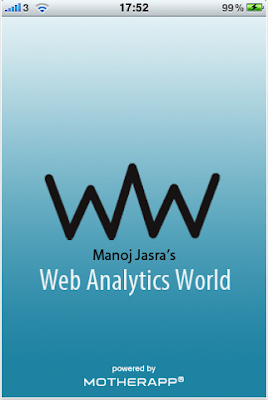 He is one of the finest thinkers in Web Analytics industry today. Grab it today, download from here.